banjira Deluxe Harmonium 2 Reed Banks 5 Drone & Case. 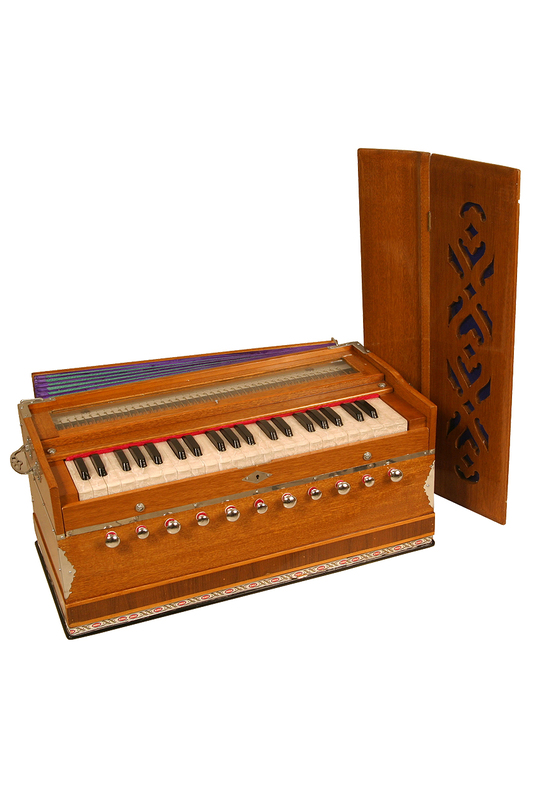 This Deluxe Harmonium features a fixed body with removable keyboard cover. The multi-fold bellows that can be played left or right handed. The full keyboard has a 3 1/2 octave range. There are 5 drones and 6 stops.